Non Acid Bowl Cleaner is an acid free,slightly viscous liquid that is specially made to clean toilet bowls and bathroom fixtures. This powerful cleaner is user safe and environmentally friendly. Non Acid Bowl Cleaner eliminates urine salts and feces stains as well as built-up calcium and other mineral deposits. 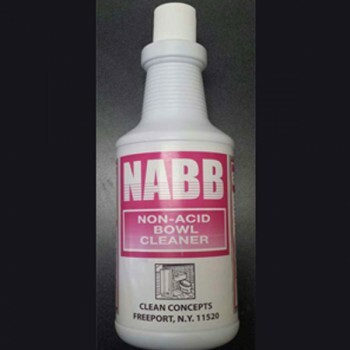 Non Acid Bowl Cleaner will not harm plumbing, pipes, or septic systems.